Sportninja is a completely free, amateur sport social and organisational platform. I defined the design language, created a robust design system, created the marketing website while also doing the UX and UI for the responsive web app and also the iOS app. When I joined Sportninja, they had 10 wireframes and a great idea; Bring professional grade sport analytics to amateur sport, for free. Amateur sports are currently a nightmare of pen-and-paper systems, conflicting rules and exploitations of voulenteer's time and money. I was in charge of the user experience and interface of the sportninja webapp and iOS app. There was no branding, so I had to develop a contemporary visual identity for the platform that could be used across digital and physical verticals. 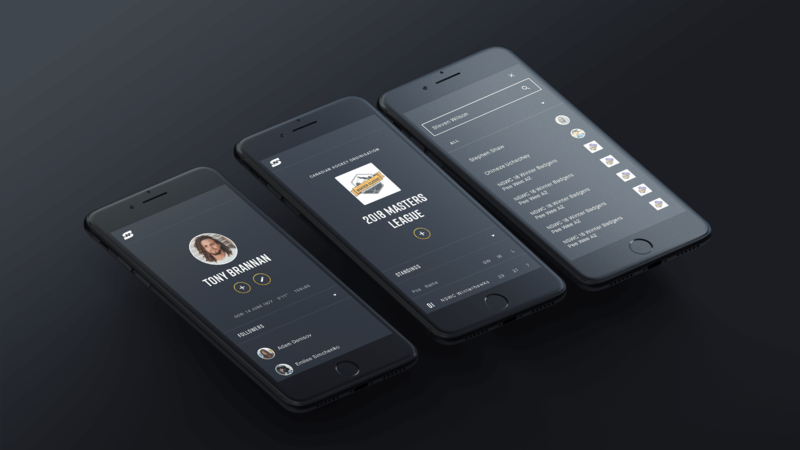 The website serves two purposes: To inform the public of sportninja's features and let them download the app, and to let investors know of sportninja's future potential. The profile, compeition and mobile search screens. The app uses a minimal colour palette so the content retains the user's focus. All edting and creation is handle in slide out menus to retain familiarty througout the app and to give the user less to remember when creating teams, tournaments, groups, players and organizations. Each game, organization and player has their own dedicated page with all relevant information split into tabbed sections and also card or list summaries. This make the interface interesting to both casual users, who can design their own sports-inspired cards and also power users, who need quick and clear functionality. The cards gracefully scale down to fit on ipad and phone sizes while still giving the user the same functionality as the desktop webapp. A user could set up a full team and tournament from their phone in minutes. Too see more information, visit the sportninja website. From there you can also download the iOS app and start a social sports network.